The Dead Zone is the one David Cronenberg film not scored by Howard Shore, but by American composer Michael Kamen (April 15, 1948 – November 18, 2003). Based on a Steven King novel of the same name, the film is grim, somber affair that has become a classic, at least to me. The Dead Zone is unusual for a Cronenberg movie, especially considering it sits in his filmography between Videodrome and The Fly. The link is that all three films are about a man dealing with a transformation of some kind. Kamen was not really known in film music at the time, but was popular as an arranger in pop and rock, which comes through on some of his later scores. 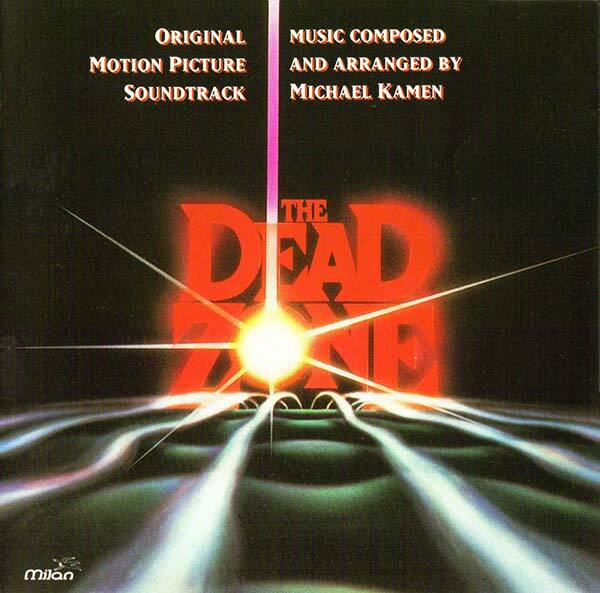 The Dead Zone, however, is an orchestral score of pure melancholic bliss (if you can dig that), punctuated by sheer horror. Be careful with this one though kids, especially if you haven't taken your prozac today. Note: The first track's file is incorrectly titled "Opening Files". I'm a little wary about listening to this one, as I haven't taken my prozac today. I'm not familiar with Michael Kamen either, however, if David Cronenberg thought he was talented enough to compose the score for one of his films in place of Howard Shore, then he must be good. Thank you for sharing what I'm sure will be another great soundtrack that I haven't had the pleasure of listening to.